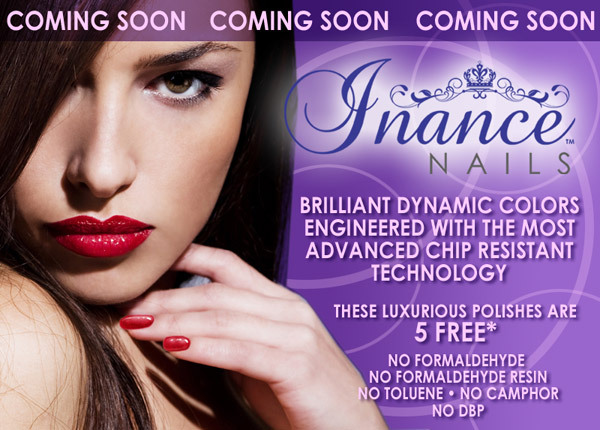 Thank you for your interest in Inance Skincare and Inance Nails! We are one of the fastest growing skincare companies in the United States! All Inance skincare products and nail polishes are made in the USA, 5 FREE from harmful chemicals, long lasting nail color (not harmful gels) and are in high consumer demand. The average customer reorders Inance Skincare up to 12 times per year! We feature National TV commercials with your favorite Celebrities and have been seen in on numerous TV talk shows and in national health and beauty magazines. Ask us how your store or website can be featured in our National Ads as an "Elite Retailer". We offer support by adding our vendors as the "Go To Retailer" for Inance products in our advertising and can include your store and location. For more information on how you can become a Inance Retailer feel free to email us at [email protected] or call us direct at 855-946-2623 and leave a message. We look forward to working with you!